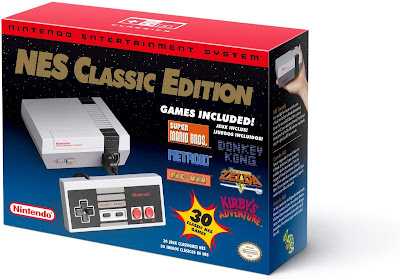 Hurry over to Amazon where you can score this Nintendo Entertainment System: NES Classic Edition for just $59.99 shipped! This will likely sell out quick, so order soon if you're interested. This game system comes preloaded with 30 games including Super Mario Bros., Donkey Kong, The Legend of Zelda, PAC-MAN, Dr. Mario, Mega Man, Final Fantasy, and dozens more. **This will ship on September 1st.